We are informing the complete and exact location address and contacts numbers of SSS Batasan Hills branch in Quezon city. 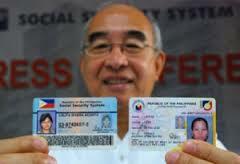 For more details regarding your sss loan contribution, benefits, the UMID id and other concerns, you may visit here? You can email your questions or inquiry now. Provided below the map guide on how to get there conveniently. Come and visit now. This entry was posted in Benefits, Branches, Remittance and Contribution, UMID Card and tagged sss batasan hills branch, sss contribution, sss offices. Bookmark the permalink.